Antonio Banderas Her Golden Secret - Sweet and Sensual! Home ReviewsBeauty Antonio Banderas Her Golden Secret – Sweet and Sensual! Who is it for? 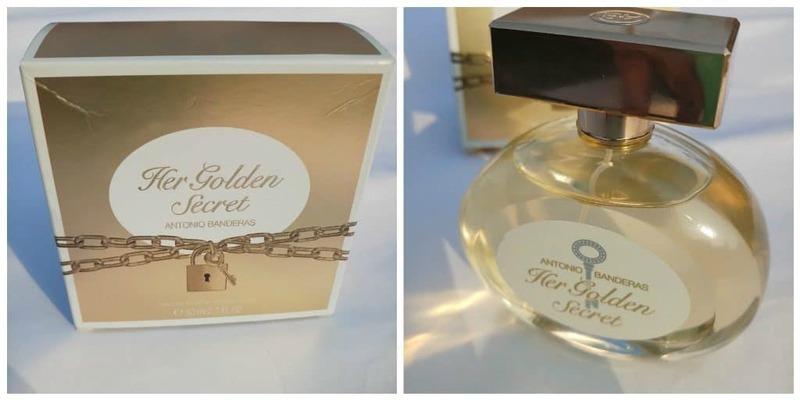 Antonio Banderas Her Golden Secret Eau De Toilette has been designed for women, with prevalent floral, fruity and vanilla fragrances. Yet all these prominent fragrances have been combined in a toned down elegant and sensual way. Open the cap, spritz onto the neck and pulse points. No, I have not faced any sensitivity issues on use. The overall packaging is very elegant and luxurious but should be handled with care. The top notes include bergamot, mandarin, apple and peach all of which give off a strong and seductive fruity fragrance. The middle notes have a union of gardenia and orange blossom with drops of black current zest. The woody base notes have patchouli, cedar, tonka, musk, and vanilla. The fragrance initially seems too mild but leaves a sweet flowery vanilla fragrance in the aftermath. It is a very subtle yet distinct flowery and vanilla fragrance. It has a youthful and elegant essence to it. It does not overpower your nose but settles into a warm bubble of olfactory pleasure. Wonderful for a day out. It stays for 4 to 5 hours even if you are sweating, after which it fades off to a very mild lingering smell. Yes! I love the fragrance and it’s staying power. Would definitely buy it again. It is my go-to fragrance as of now.